A new compilation featuring 17 iconic shorts of the loveable French skunk, Pepe Le Pew! Pepe is always strolling around Paris in the springtime, where everyone’s thoughts are of love. While he is constantly seeking l ‘amour of his own, his huge turnoff to any prospective mate is his malodorous scent. Together for the first time are some of Pepe’s most beloved and comical shorts. 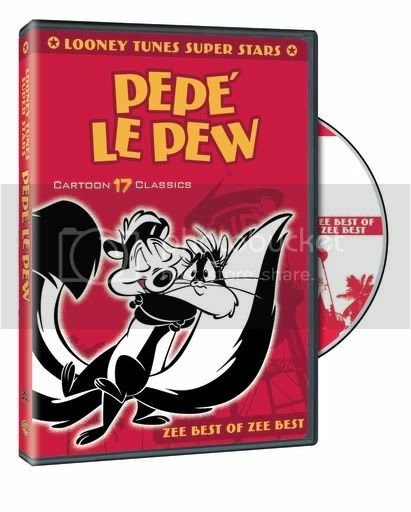 As a child I never really liked Pepe Le Pew but when I watched this dvd yesterday I wondered why I didn't like Pepe because I now actually enjoy watching him .This dvd is 2 hours of fun and funny shorts that your family will enjoy. Looney Tunes Pepe Le Pew Collection is now available on Dvd.